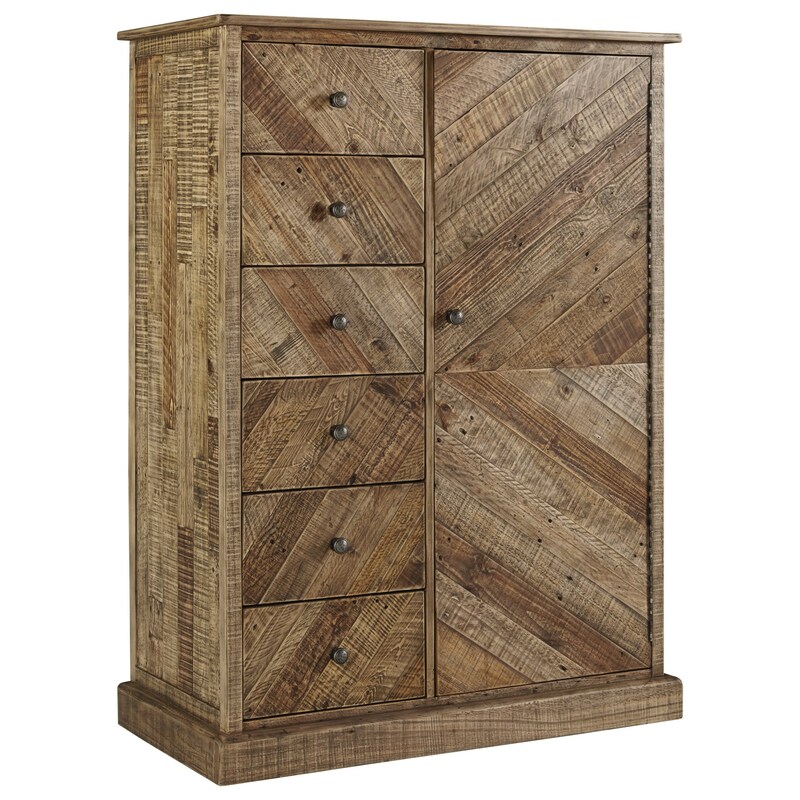 Crafted with reclaimed pine solids in a light weathered finish and featuring chic chevron planking, this door chest is teeming with charming design characteristics. The six spacious drawers offer plenty of functional storage, in addition to the door, which conceals a shelf and three pull-out trays. The Grindleburg Rustic Door Chest by Signature Design by Ashley at Sam Levitz Furniture in the Tucson, Oro Valley, Marana, Vail, and Green Valley, AZ area. Product availability may vary. Contact us for the most current availability on this product.